Come early for the Brownsburg Street Eats food truck rallies and fun lawn games. Race cars from NMCA Pro Mod muscle cars to NHRA Top Fuel Dragsters will be on display, and fans can meet some drivers who race at Lucas Oil Raceway. The event will also feature games and concessions. Time: Gates open at 6:30 p.m., Concert begins at 7:30 p.m. Admission: $7 (Adults age 21 and up), FREE (under age 21). ID required. Season pass is $20. A food court and beer garden are available. No coolers permitted. Time: Doors open at 6:00 p.m., Concert begins at 7:00 p.m. This concert will benefit the Make A Wish foundation. Time: Doors open at 6:00 p.m., Concert begins at 8:15 p.m. Admission: Adults (Age 16 and above) $18 in advance/$20 at the gate; Children (ages 4-15) $8 in advance/$10 at the gate; Parking $10. Enjoy "Movie Music" by composer John Williams. Time: 7:00 p.m., food service begins at 6:00 p.m.
Be sure to watch for live performances at the farmers markets and other events and festivals throughout the summer, too. 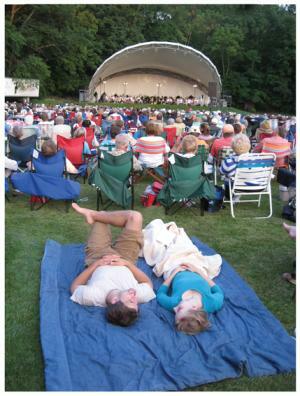 Whether you&apos;re a fan of country, folk, classical, pop, jazz, soul, or other music, you&apos;re sure to discover a musical group you love this summer in Hendricks County.